Can you make out what this is a picture of? Can you make out what’s going on in this photo? A customer of Verne & Ellsworth Hann spoke with co-owner, Bill Hann, regarding a possible leak from her steam boiler. Bill was in the area and decided to stop by the customers home. 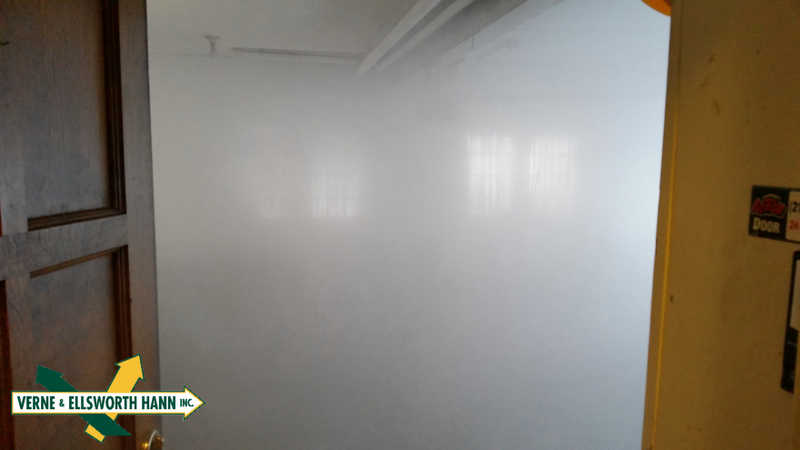 Imagine his surprise when he opened the door to the garage and noticed it was full of steam! Look closely and you’ll see the large garage door open and the garage windows straight ahead. I’d say Bill found the leak! Bill couldn’t pass up the chance to take a picture! Verne & Ellsworth Hann has been serving Cleveland Heights and the surrounding area for over 63 years. Owners Bill and Chris Hann continue the company’s legacy of superior customer service in heating, cooling and plumbing. Specializing in steam and hot water boilers, Verne & Ellsworth Hann is a company you can trust with all your HVAC and plumbing needs.